Washington, Mar 19, 2018 : Saudi Arabia’s Crown Prince Mohammed bin Salman has said that women are "absolutely" equal to men as he is set to arrive in the United States on Monday during which he will meet President Donald Trump and tour a number of American cities. On Sunday, CBS News programme "60 Minutes" aired an episode about the prince and where he hopes to take Saudi Arabia. When asked if women were equal to men, the Crown Prince said: "Absolutely. We are all human beings and there is no difference." He acknowledged that Saudi Arabia has been dominated by an "ultraconservative interpretation of Islam" that was wary of non-Muslims, deprived women of basic rights and constricted social life, the New York Times reported. "We were victims, especially my generation that suffered from this a great deal," he said about conservatism that spread through the kingdom after 1979. Bin Salman’s rise to power has been accompanied by an easing of restrictions on women’s dress and an expansion of their role in the workforce. He said the government was working on policies to ensure equal pay. The kingdom had also allowed women to drive in an order which will go into force from June. However, women in Saudi Arabia are still bound by so-called guardianship laws that give male relatives control over aspects of their lives. 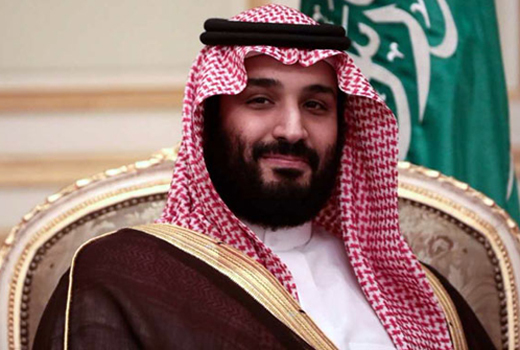 Talking about his drive against corruption, he defended the recent jailing of over 380 princes, businessmen and former government ministers in the Ritz-Carlton in Riyadh as "extremely necessary." There were accusations of abuse by relatives and associates of the detained. They said that many detainees were subjected to "coercive tactics" and "physical abuse" to get them to sign assets over to the state. The Saudi government, however, denied that any abuse took place. The Crown Prince, who has been criticised for lavish personal expenses at a time when he is preaching fiscal responsibility, defended his private spending as "his business". In recent years, he bought a yacht for a half-billion dollars, a French chateau for over $300 million and a painting for $450 million, the New York Times reported. "As far as my private expenses are concerned, I’m a rich person and not a poor person," he said. "I’m not Gandhi or Mandela."